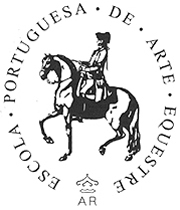 The Portuguese School of Equestrian Art is a reconstruction of the "Real Picaria", the 18th century Equestrian Academy of the Portuguese court, which was closed in the 19th century, though its teaching and tradition did not die and have never ceased to influence horsemanship in Portugal. 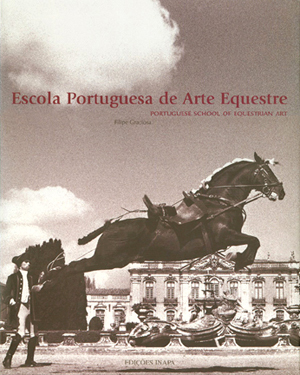 The purpose of the Portuguese School of Equestrian Art is to preserve and disseminate this heritage and also to practice and teach the equestrian art , which has such old and brilliant traditions in Portugal. 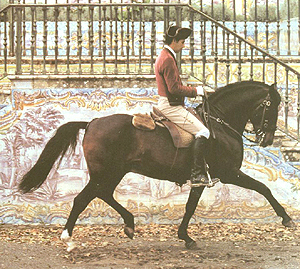 In 1996, the Portuguese ministry of culture bought the former Royal Stables in Belem to set up the coach- and carriage museum and build the future stables of the portuguese School of Equestrian Art. The book is an excellent presentation with expert contributions on the history and importance of the school and it’s riders. 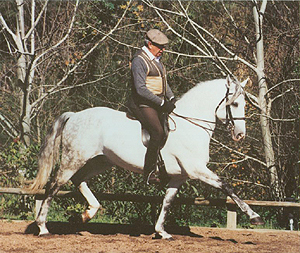 Also a study of the Alter Real breeding farm and program. Beautiful contemporary photography of horses, facilities and riders present a classical image of this important equestrian institution. 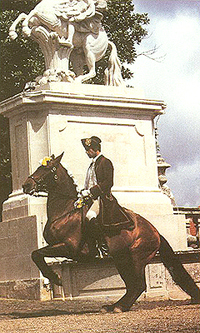 The book also tells the story of the Alter Real Stud and its struggle to survive the fads of time. 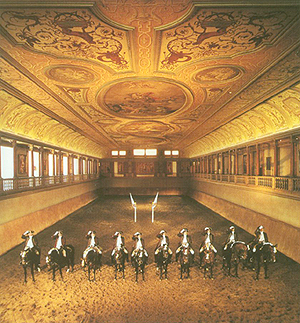 The Picaria Real reached the height of its splendor in the late 18th century. 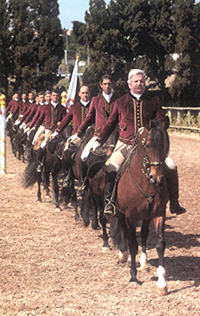 The teachings of the fourth Marquis de Marialva achieved such perfection and technique that since then the equestrian art of Portugal ha been called the "Art of Marialva". 166 pages, 125 color illustrations.